« Picaboo: 50% off Holiday Cards + free shipping! Okay, I don’t freeze food much. 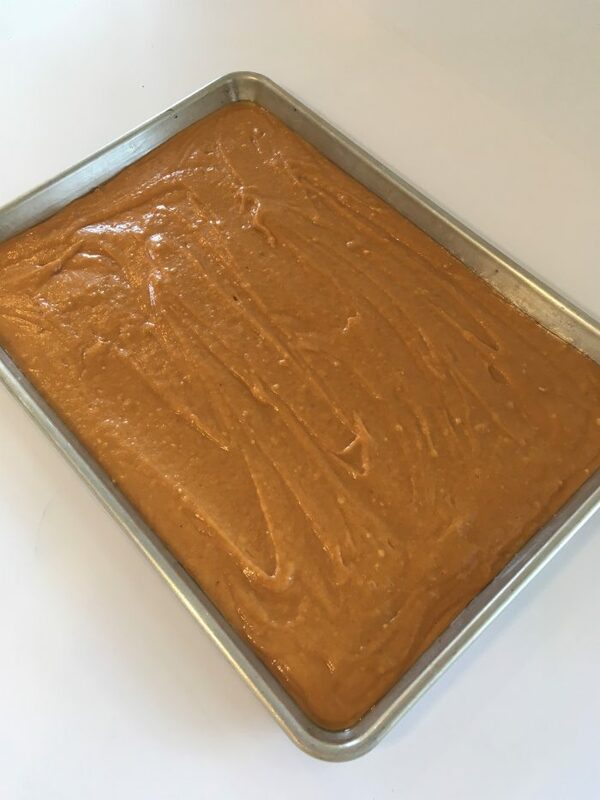 Freeze with icing or before icing the pumpkin bars and make the icing fresh? I always ice the bars and then freeze. 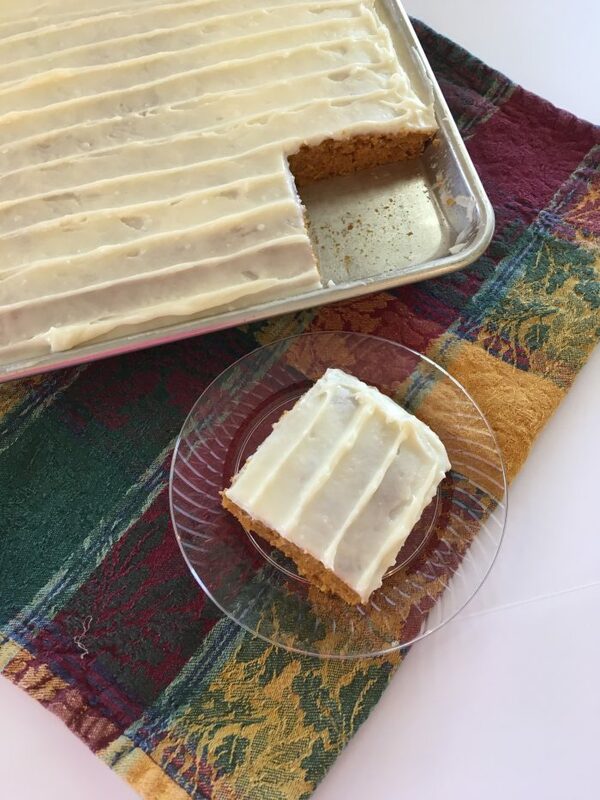 The icing tastes just as fresh as the bars themselves after being frozen. 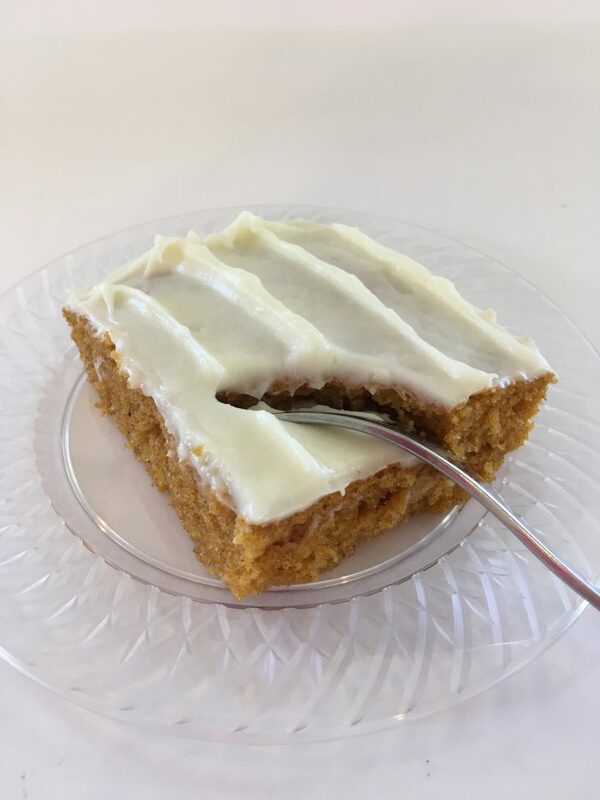 I made pumpkin bars this morning and my recipe is pretty much the same one! Only mine calls for chocolate chips. We love this recipe and I’m sure it would be just as delicious without the chocolate chips too, but we love the chocolate in it! 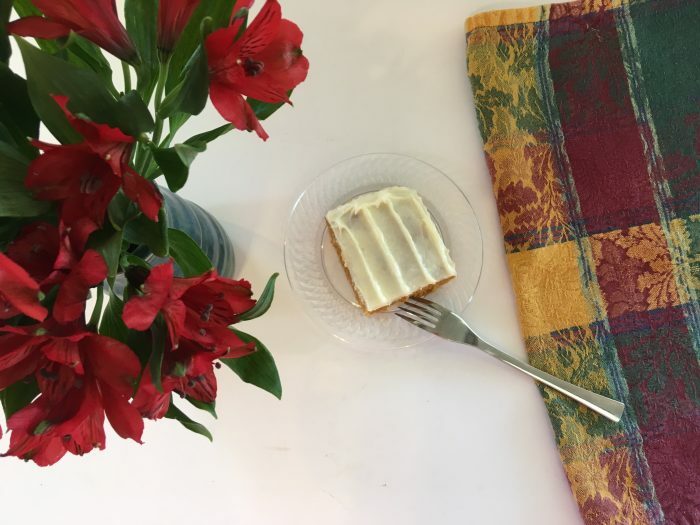 Do you store the bars in the refrigerator given the cream cheese frosting? I’m thinking about trying this for the church bake sale this weekend, but I’m concerned about the frosting because they won’t be refrigerated. The cream cheese is the key to the answer. Since it’s a dairy product that should be fridged, the Official Answer is two hours. FYI, the Official Answer has changed over time: when I attended cooking school it was four hours. Let me also point out that the Official Answer is to prevent illness in everyone, including the very young, the very old, and the severely immunocompromised. The overwhelming majority of persons would be fine if the frosted bars were left out longer. One thing you could do is frost in stages. Say, frost half for the first part of the sale, with the rest of the frosting cooled (fridge, cooler, etc. ), When the first half is almost gone, frost the rest and put that out. And gotta say – what the heck!!! re “the powdered sugar will prevent any bacteria from developing.” That is the biggest load of baseless nonsense I have seen in a long time. One, sugar does not prevent bacteria from developing and two, bacteria isn’t the only concern. MMMM Brigette!!! Another delicious recipe. I think I will make these for our Thanksgiving potluck at church. Thank you!! This is a GREAT potluck recipe! I made your recipe for brownies last night (made them black bottom brownies and added my own cheesecake topping). They were the best brownies I have ever made! Thank you! Will be trying these bars this weekend! Oh yum! Cheesecake topping sounds fabulous!! Oh my….two cups of sugar, four eggs, and a cup of oil. No wonder they’re tasty! 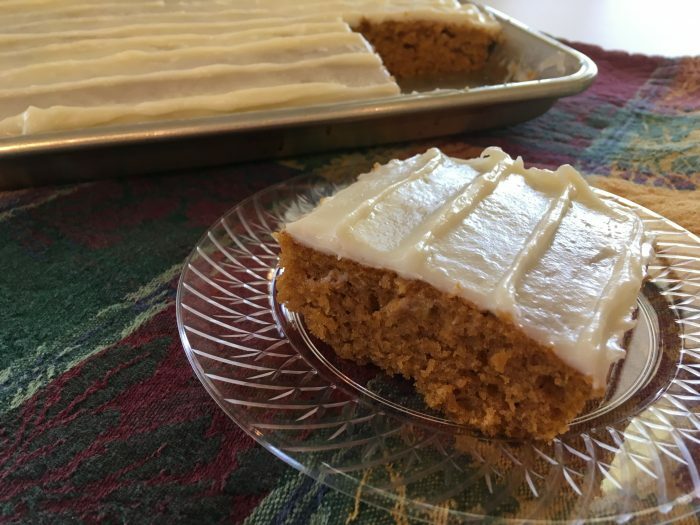 I love this pumpkin bar recipe, but I always make it with less sugar and often make it with half milk/half oil, and it still always turn out great. I hate to sound ignorant, but is a jelly roll pan a rimmed baking sheet? These are not chewy. They are thinner than cake, but still like a light, moist cake. 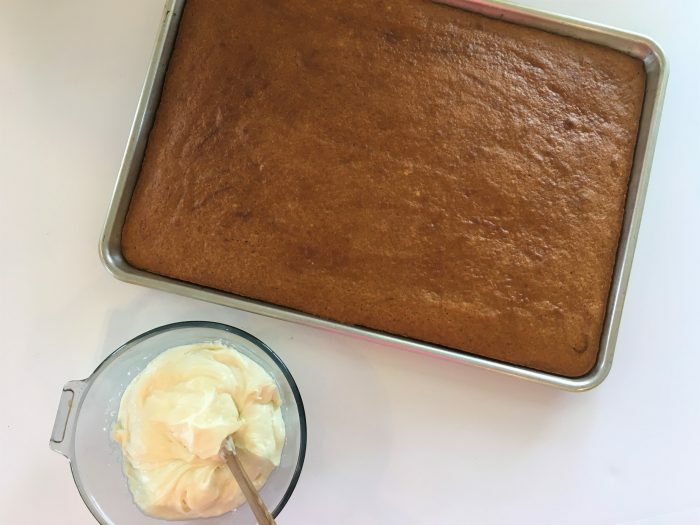 However – most people, even the ones who aren’t cake fans like myself, really like this recipe. 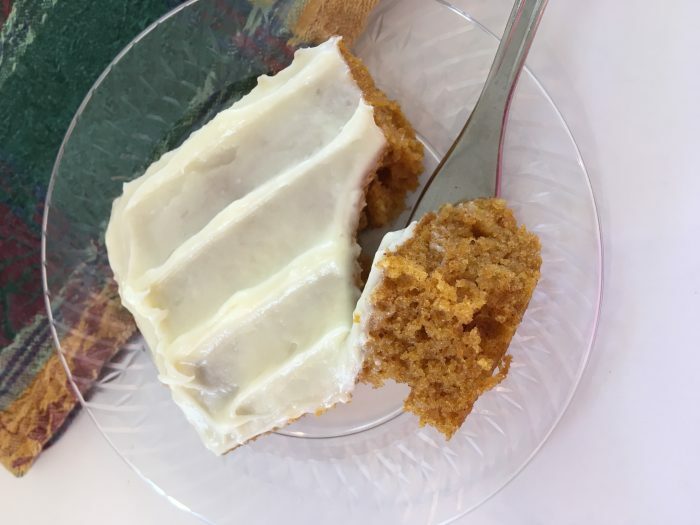 Bridgette is right, I’ve never met anyone who doesn’t like these pumpkin bars even if they don’t like cake. 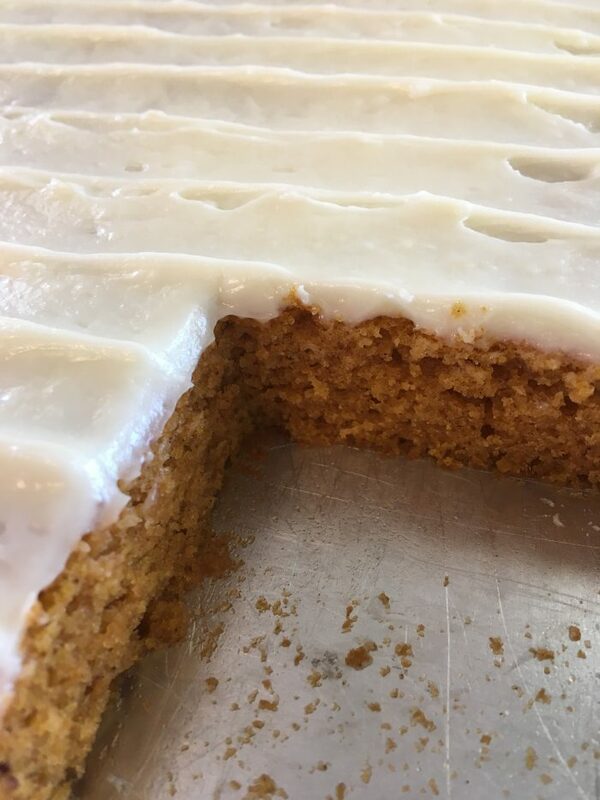 I make basically the same pumpkin bar recipe (just with a little less sugar) and love it, but if I want something chewier/denser with pumpkin flavor I make pumpkin scones. They are really great too. 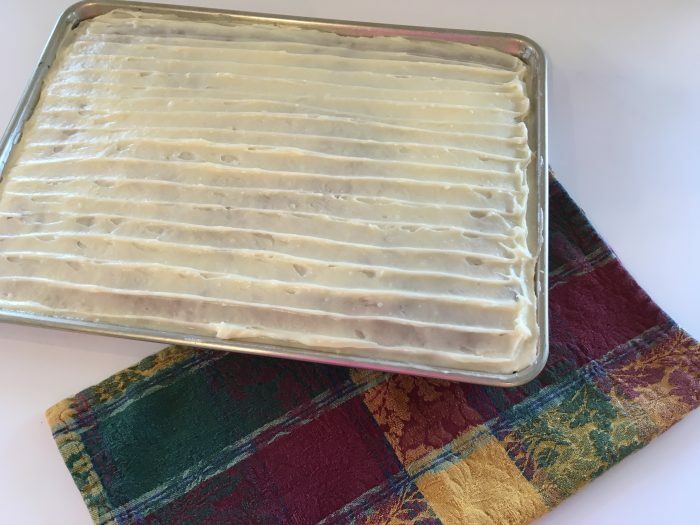 Do you cut them into bars and then freeze some of them on something else (another pan)? I’ve done it like that and it works great. I’ve also frozen the entire jelly pan (sealed well), and taken it out, cut a few bars off, wrapped it and stuck the pan back in, etc. Even when frozen “solid,” it’s not hard to cut at all. Has anyone tried this without the eggs? Suggestions for all natural substitutes? We don’t use the egg replacers. Egg allergic children over here! I haven’t – sorry! 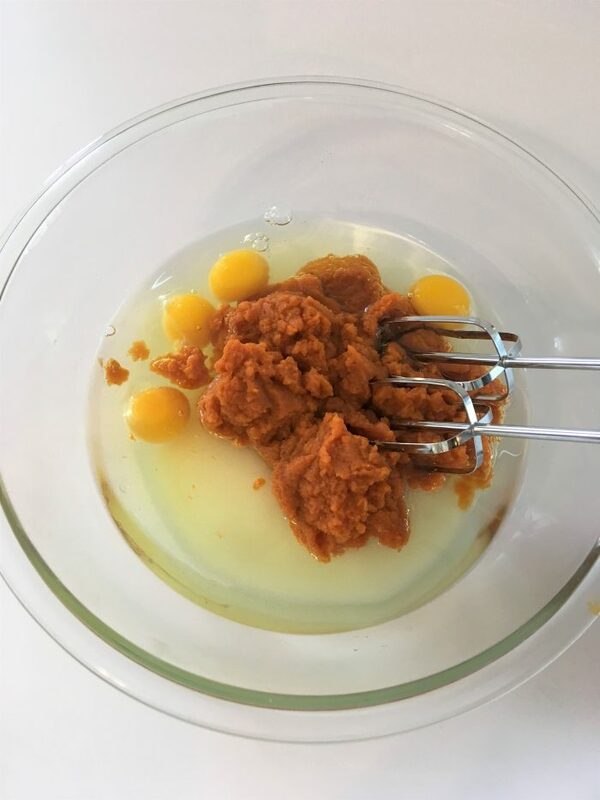 I do know that I was baking muffins the other day and realized I didn’t have eggs, and ended up using applesauce instead – and they turned out great! That might work in this recipe. 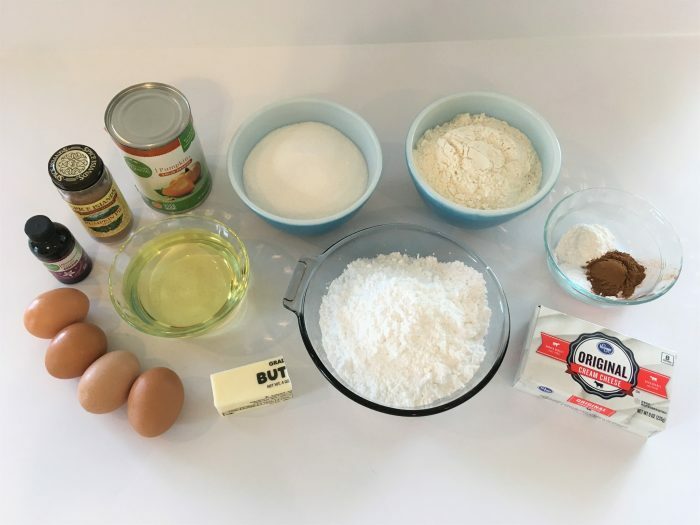 For anyone who needs to eat gluten free – I make this same recipe and substitute a gluten free flour mix for the flour and add 1 teaspoon xanthan gum. They are really good. I serve them to people who don’t have to eat gluten free all the time and they never know the difference and ask for more! Oooh! Good to know. Thanks! Since I don’t have a jelly roll pan, can I just use a 9 x 13 instead? They will end up significantly thicker – definitely like cake (and the frosting will be thicker as well). You’d probably have to cook them longer too. The flavor would still be the same. 🙂 It might work to do a 9×13 plus a smaller pan (loaf size or 8×8?). Sorry I can’t be of more help here! This looks delicious. I hope to try this one soon! Wondering if you have ever used zucchini in place of pumpkin in this recipe? Does it also freeze well? Did you freeze these in the jelly roll pan or did you cut them and put them into a storage container? I can’t wait to try this recipe. I love pumpkin and would love to try something ese to keep in freezer.